What Is a Plot Function? The PlotFcns field of the options structure specifies one or more functions that an optimization function calls at each iteration to plot various measures of progress. Pass a function handle or cell array of function handles. 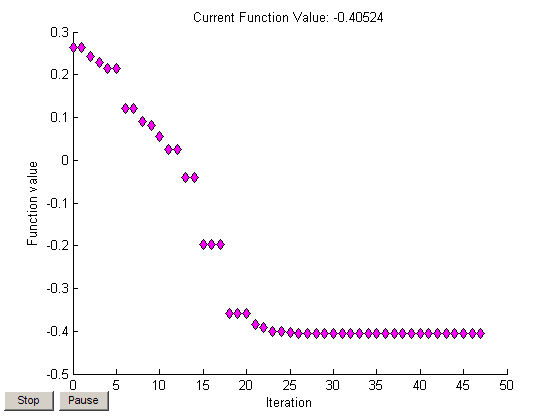 The structure of a plot function is the same as the structure of an output function. For more information on this structure, see Output Functions.